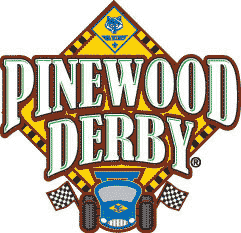 It’s that time of year again for our GHL District annual Pinewood Derby races. We are set to have a very exciting and fun filled day for the Cub Scouts and their families.Come join us and watch the racing action! Medals will be awarded to the first, second, and third place winners of each Cub Scout rank class (Tigers, Wolves, Bears and Webelos).The winners of each class will compete in the Championship race for Overall Champion. they will be parked into the garage until race time. Rules will be carefully followed:Overweight cars will NOT be allowed to race except for Open Class!Modified wheels will not be allowed to compete.